Vivian Foley was first Eagle home. 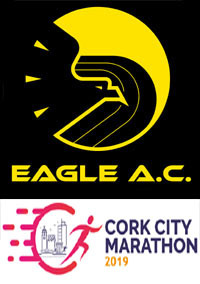 This new race took place in Kinsale last Sunday and was well supported by Eagle AC. 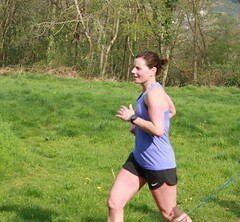 On a tough (& slightly long) course, some strong times were recorded, along with 2 category wins. 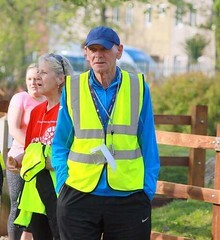 As in Dungarvan recently, Viv led home the men’s challenge and Catherine the ladies, with Catherine taking 1st F40 and Pat O’Connor picking up the M50 crown. Favourite thing about running: Enjoying been out and about, meeting new people and of course the buzz of getting that new pb. What is your main goal for this year: I never set goals I don’t like pressure,if I pick a time for a race I never get it,my best times have come when I least expected them because in my head it’s getting from A-B and enjoy it. One bit of advice you would give to someone thinking of taking up running: Go for it and stick with it and you will get many years of happiness, and many new friends. 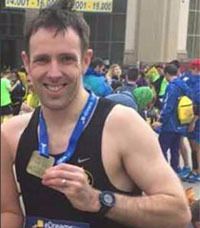 A trip to Barcelona seems to have become something of an annual tradition in Eagle AC, with groups travelling there over the last four or five years to take part in either the full marathon (March) or the Half marathon (Mid-February). The common factors of all these trips are Tim McCarthy and Damian Kenneally. Tim and Damian were part of a group that did the full marathon in 2015 and 2016, and went to the half marathon there last year. As the saying goes, three time is a trend, so it was no surprise that the lads started looking for willing victims to partake in the 2019 E-Dreams Mitja-Maraton (Half Marathon) on Sunday Feb. 10th. Many were quickly on board, and in total 13 of us ran, with several others coming along to support and enjoy a weekend away. The cosmpolitan capital of Catalonia, Barcelona is colourful, eclectic, cultural and, perhaps best of all given the storm we left behind on the Friday we left Dublin, sunny. Inevitably with such a big group travelling, there were many variations on flight routes and travel arrangements. Those of us who chose to go to Dublin on the Friday and fly directly to Barcelona certainly drew the short straw, as Storm Eric hit and caused many hours of delay to all flights. This aside, we eventually all got there at various hours of the night and early morning, relieved that it was a Sunday race, giving us time to recover, acclimatise and soak in the surroundings on the Saturday. 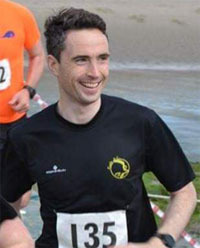 The annual Eagle AC Tommy Ryan Memorial 5 Mile Road Race was held in Carrigaline on Sunday, 17th February. Please see below for provisional results. 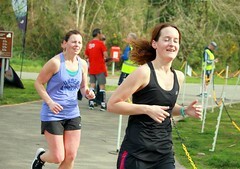 A total of 295 runners took part. 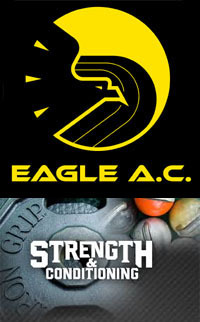 Started Jan 2019 : The club is holding a series of Strength and Conditioning classes at present for members. 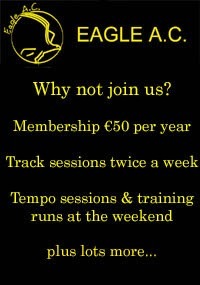 Starting March 2019 : With the Cork City Marathon and Half-Marathon coming up in June, we’ll be starting training programmes for these. 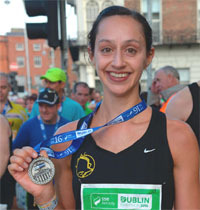 Starting July 2019 : After a short break, we’re back with programmes for an autumn half-marathon and the Dublin City Marathon at the end of October. 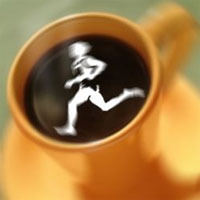 Starting November : No rest for the wicked as we look forward to 2020 and the Dungarvan 10 miler in February. These programmes are free for all paid up club members. Club member Annemarie Power has just written a great report about her experience at the 2018 Ironman World Championship in Kona, Hawaii. 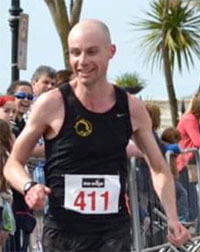 Report on the 2019 Dungarvan 10 mile by Ruairi Egan…. 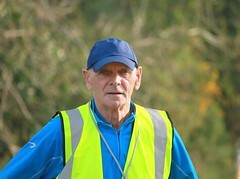 As usual, a large number of Eagles made the trip East to Dungarvan on Sunday for the annual John Treacy 10 miler. 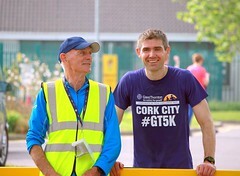 WIth weather conditions much improved and almost ideal for racing, some great times & PBs were recorded. Well done to Viv, back from injury as strong as ever, leading home the Eagle challenge and taking 2nd in his M45 category. Next 2 home were Sean O’Keefe and Mike Forde, with Mike breaking the 60 min barrier for the first time, a great reward for a lot of hard work. 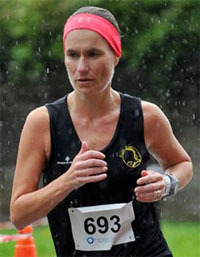 First lady back was Catherine Murphy, running a big PB & breaking the 70 mark for the first time, Catherine almost broke 68 mins while she was at it with a chip time of 68’08. 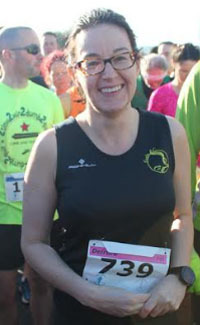 Catherine came an impressive 5th place out of 316 in her F40 category. Special mention to Richard Piotrowski who won the M70 prize. We had quite a few members feature in and indeed win some category prizes so I’ll list them separately. 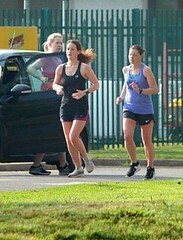 A mention too for the Eagle Ladies Team who finished in a strong 6th position in the team event.